Posted on January 16, 2018 January 22, 2018 by Richard S.
Easy Move offers advanced and professional logistics & transportation services for the needs of our clients. We understand that not everyone has the same requirements when it comes to relocation of property. This is why our logistics department is here to determine the best course of action. Depending on your cargo size and the distance, we will determine the fastest transportation route and method. This will go to ensure that your belongings reach their final destination within arranged deadlines and in mint condition. This is important to us, since we value time-efficiency and productivity. Logistics companies in Kuwait are firm believers in the concept of planning and organization. And this is why we provide our customers with a detailed plan of the forwarding process from point A to point B. Learn all about the operations of quality logistics moving companies in Kuwait and what you can expect. How do logistics companies in Kuwait operate? The concept of transportation should be easy and fluent. And so, this is how we organize our own logistics and transportation process. Three easy stages that cover property relocation, from beginning to end. Air – direct flights from Kuwait logistics centers to any larger distribution center in the world. From there, the cargo reaches the final destination with ease. Each option has its own benefits to take into consideration. Even if your move requires oversea transport, you might need to arrange for land or aerial transport to and from the port. 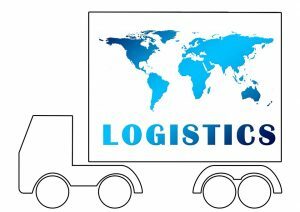 Luckily, most logistics companies include all three methods into the services they provide. Transportation of property via sea – a budget-sensitive method of arranging international transportation. This type of shipping offers a number of valuable advantages for international moving. One of the main disadvantages of airplane transport is the important fact that it is the highest-priced option. Also, weather conditions and time schedules plays a key role. And in addition to all of this, there are still additional costs in regards to “door to door” delivery. 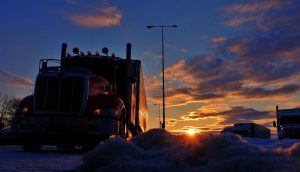 When it comes to truck shipping, the key factor is flexibility. You can adjust the route at any time, depending on the need to do so. When it comes to short-distance moves to other countries in the Gulf Bay, it saves a lot of money and time. The loading and unloading process is much faster. And since it usually entails small volume loads, it is much more efficient space-wise. Ground shipping is the best option to go for short-distance relocation needs. However, the main disadvantage of ground shipping is the fact that you can only cover so much. You are still limited in terms of distance. If the need arises for the items to be temporarily stored before reaching your new residence, this is something we can arrange. We offer short-term storage options for all our customers to ensure the safe arrival of their belongings. Depending on your needs, logistics companies in Kuwait have storage units of all sizes, with and without climate-control. And all storage facilities are secure and guarded to provide peace of mind for our clients. This is a sure way for your valuables to remain intact until you are able to pick them up. The final of our logistics services. Logistics companies crews make sure that your cargo arrives at the final destination in one piece. We then unload and unpack all larger and robust items. And once everything has been approved by the customer, we take our leave. And the aftermath is a positive moving services experience. One of the most critical needs today is for a business to meet the expectations of their clients. It is important for one to find a faster, more efficient means to handle cargo, in order to support a Kuwait logistics company. And a well-run supply chain is vital to the success of logistics companies. other “black swan” or unique events that can ruin a start up and cripple an existing business. Careful planning and organization is the key to 90% of issues. Benjamin Franklin said, “An ounce of prevention is worth a pound of cure.” That quote absolutely applies to supply chain logistics. Each customer has a special “finger print” with their property. Some are sensitive to spoilage, some are fragile electronics and others require more human labor. In order to react swiftly and decisively, a plan supported by the right solution is critical to logistics companies. A logistics company in Kuwait is only as successful as its supply chain. Pre-planning now and elevating this to the executive team in an organization today can eliminate the majority of customer service issues tomorrow. Unloading and unpacking is just as important as any other part of the transportation process. lackluster transportation management or some other supply chain chaos. Many warehouses handle massive numbers of shipments every year. And in an economy that has seen less frequent hiring of additional help, much of the focus has been placed on maximizing the potential of the workforce. Having fewer hands to help receive and move shipments places an increased premium on accuracy and speed. This applies closely to logistics companies that deal with perishable and time-sensitive products, such as food, beverages or anything that involves the cold chain. Within logistics companies in Kuwait, careful tracking of shipments is essential. This serves not only the company but also the customer, as it enables tracking shipments with attention. Many organizations still rely on “primal knowledge” for this sort of information, but even the best memories fail. 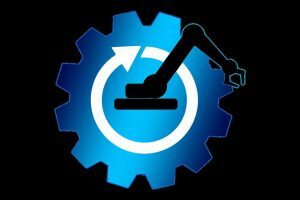 Manual processes tend toward error, but a system that centralizes information and helps automate the supply chain provides a level of support and real-time access to information that can help a business reach its maximum potential with minimum investment of time, planning and solution implementation. Planning for the future with innovation is the key. Whether it’s through whipping your logistics company fleet into shape with fleet management software, keeping close tabs on product through inventory management solutions or maximizing every square foot of space with improved warehouse management. Innovation is hitting the market as solutions centralize data and provide real-time access to what you need to know. So, whether you’re in the office, down the street or several continents away, you have detailed access to all data. Technology is linking vendors to customers and customers to shippers through an interlinked web that promotes the sort of fast, adaptable response that sets a business ahead of its competitors. Today’s logistics is mobile-enabled, connected and requires much more than the pencil-and-clipboard style of management from years past. The implementation of technological improvements is productive for all logistics companies in Kuwait. Google CEO Eric Schmidt has said the world now creates as much data in a span of 48 hours as all of human civilization managed to produce from the beginning of history until 2003. Planning and leveraging that amount of data to better understand and propel a Kuwait logistics company means building a sustainable future. 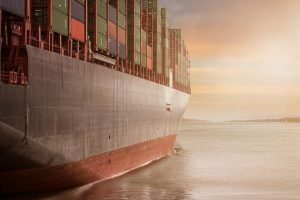 Conduct a complete risk and resilience assessment prior to establishing a new supply chain. Unfortunately, resilience does not come in a box, and cannot be purchased just when you need it. If you are in need of a resilient supply chain, consider designing it from scratch. 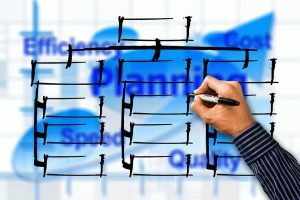 Designing and building a resilient supply chain from the very beginning is much more cost-effective than trying to change the supply chain in mid-stream. However, many companies must re-design them as they live with the results of one or more disasters or shocks. A resilient supply chain is one that is flexible in the face of disruptive events. or keep 24-48 hours of parts on hand to smooth out the parts flow during disruptive events. This type of built-in resilience can give operational managers the time to react should the event prove to be a longer-term disruption. What are in fact supply chains when it comes to Kuwait logistics? Managers can’t use linear thinking when determining the weaknesses and risks in a complex system. Therefore, using systems thinking to map and quantify the movement of goods and services, and the dependencies between the parts of the supply chain, is a much more effective way to identify risks in a modern logistics network. This map or model can then be used to demonstrate to logistics companies decision-makers where vulnerabilities exist. And by extension, which parts of the network are at greatest risk. Large logistics companies with their own planning departments run scenarios to determine the most costly and the most vulnerable nodes in the network. They then use the results of the scenarios to mitigate the risks ahead of time. Until now, smaller companies did not have that ability. 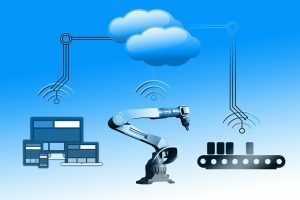 However, new software tools are enabling small and medium-sized logistics companies to run their own planning scenarios, and recover more quickly from known events. Identifying vulnerabilities and mitigating the supply chain risks ahead of time is critical to ensure a smooth transportation project. This extra time can mean the difference between collapse and the ability to save money, recover faster and with less impact on the business and, most importantly, its customers. A resilient supply chain is the product of thorough analysis and careful planning. Future resilience is the product of the smart decisions made today.